This servo can produce high-current draw from your batteries. If using NiMH or Li-Po batteries, make sure they are capable of delivering sufficient Amps. 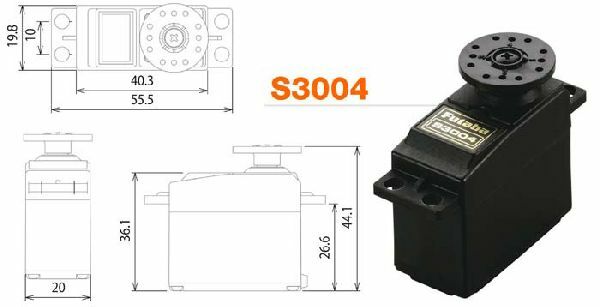 FEATURES: Single ball bearing on output shaft. Precise tight fit throughout the geartrain. Being standard size and light weight, it fits many applications. Four black one-piece rectangle rubber grommets. Connector: J type with approx. 5 wire.